I’m on the right track if Lewis agrees with me, or vice versa. No: to me, there’s an incredibly important difference between saying that God rules over the universe (the very definition of God’s sovereignty) and God determines everything. Notice my friend wasn’t saying that providence doesn’t exist, only that there are some things that happen outside of providence—like the Seahawks winning the Super Bowl or an occasional boulder falling and flattening someone. As I tried to show in my post, however, it seems unlikely that God could afford to be so “hands-off” about certain things while at the same time fulfilling, for example, Paul’s words about providence in Romans 8:28. There are way too many consequences associated with events such as these for God not to enfold them within his providential care of the universe. Well, I agree it’s a mystery that we don’t usually know why God allowed something to happen. But we can be confident that God has his reasons, and God allowed it to serve his good purposes. What’s the alternative? As Christians, we already believe that God transformed the world’s greatest evil, the cross of his Son Jesus, into the world’s greatest good. Does God not also have the power to transform lesser evils in our lives and world into something good? That seems like a strange limit to place on God’s power! Here’s my answer: It can be God’s will because God wants more than one thing. As my friend and frequent commenter Tom Harkins often reminds me, it’s the Law of Competing Principles: God doesn’t necessarily want some tragic or evil event to happen, all things being equal. Nevertheless, given that these are the circumstances in which the world finds itself at this moment (based in part on the free choices of human beings and God’s desire, most of the time, to “let the universe be the universe”), God clearly wants this tragic event to happen more than God wants something else to happen. If not, he would have either created a different world or intervened with a miracle. We finite human beings may certainly desire some other alternative, but what do we know? Unlike God, we’re not omniscient. We can’t begin to imagine how much more harmful our favored alternative would be than the one that God allowed to happen. So, yes… God willed Tragic Event X to happen because letting it happen beat any other alternative. So let’s trust God: he knows what he’s doing! Why would it? Wesley himself held a high view of providence. 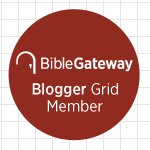 Please remember: We’re not Wesleyans because we don’t believe in God’s sovereignty, only that this sovereignty doesn’t preclude a human being’s free choice—enabled as it is by the Holy Spirit—to accept or reject God’s gift of salvation. There’s only a very narrow kind of freedom at stake in the question, and if it weren’t for God’s prevenient grace, even that freedom wouldn’t exist. We Wesleyan-Arminians would all be nodding in agreement with our Calvinist brethren when they talk about the “T” of TULIP and five-point Calvinism. Apart from prevenient grace, Wesleyans agree that human beings are all “totally depraved,” unable to do anything to save ourselves. Many pious people… speak of certain events as being ‘providential’ or ‘special providences’ without meaning that they are miraculous. This generally implies a belief that, quite apart from miracles, some events are providential in a sense in which some others are not. Thus some people thought that the weather which enabled us to bring off so much of our army at Dunkirk was ‘providential’ in some way in which weather as a whole is not providential. The Christian doctrine that some events, though not miracles, are yet answers to prayer, would seem at first to imply this. I find it very difficult to conceive an intermediate class of events which are neither miraculous nor merely ‘ordinary’. Either the weather at Dunkirk was or was not that which the previous history of the universe, by its own character, would inevitably produce. If it was, then how is it ‘specially’ providential? If it was not, then it was a miracle. It’s then Lewis’s burden to show, in greater detail than I’ve gone into, how God can direct without determining, and without ever abrogating human free will or the efficacy of prayer. In a nutshell, Lewis argues, since God stands outside of time and knows all the prayers that human beings would offer under given circumstances—in what Lewis calls the “eternal Now”—God is creating a world that has built into it as many of these answers to prayer as will serve God’s good purposes. 1. C.S. 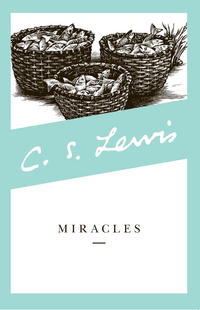 Lewis, Miracles (New York: HarperOne, 1996), 283-4. This entry was posted on	February 12, 2014 at 11:00 pm	and is filed under Uncategorized. Brent, I like this very much (especially your reference to my Doctrine of Competing Principles! 😉 ). If I have a caveat, it is with respect to “special providences.” I think there are likely three “classes” of God’s “interactions” with man (and the universe): (a) “natural,” in which things happen according to the laws God set in place, knowing what laws were ultimately best for the accomplishment of his purposes consistent with free will; (b) “miracles,” in which God intervenes to “override” natural laws; and (c) “special providences,” in which God intervenes to “guide” the natural processes in a direction they would not necessarily go without the intervention, but within the confines of natural laws. I don’t like to extend the term “miracle” to every act of God’s “intervention”; I would restrict that term to a natural law being temporarily “set aside” to accomplish some end–water turned to wine, Jesus walking on water, sight given to a man born blind, etc. Whereas, I think God also “acts,” as the “actor on the stage,” at other times, including in answers to prayers, to guide events where they would not have gone absent the prayers. I realize that God “knew” all this for all eternity, but that does not negate the fact that what he “foreknew” included when he would “step in” to affect affairs at various junctures. So, while in general I agree with Lewis (and you), I would just differentiate between those times where God “acts” (on the stage) in “miraculous” fashions versus others of “merely” intervening. Thus, I think that “miracles” are at least “rare” in our own day, but “interventions” less so. A cancer may spread or not spread “naturally,” and God may “intervene” to make it not spread, without any violation of natural laws. By analogy, I can decide to take one car to work versus another–it is up to me which one I choose. And I could choose one over the other because my daughter prefers to drive one and she is going out. So I acted as I did based on what I knew she wanted, but certainly not in a “miraculous” fashion; whereas, I would have taken the other car had I not taken into account my daughter’s wishes (better stereo!). Lewis and I would say that (a) and (c) are really the same. This “guiding role” is ever present. It’s not clear to me that you see much difference, either, since you say that (a) is something “consistent with God’s purposes” and (c) doesn’t violate natural laws. As for your next to last paragraph (“So, while in general…”) I agree completely. That’s what Lewis was saying. I can go along with that. If God did intervene to stop the boulder, he could do so in a way that would be non-miraculous. If he doesn’t, do you agree that what results can be said to reflect God’s will? That’s where many of my clergy colleagues (along with the entire liberal theological establishment) are unwilling to go. But if they don’t go there then what kind of God are we left with? One premise behind their fear to say, “This is God’s will,” is that suffering and natural death are the worst things in the world. This is obviously untrue. The worst thing, as Revelation says, is the “second death,” hell. For believers, however, all suffering in this world will be redeemed in heaven. If that sounds glib or easy, so be it. It’s true. Plus, it’s very comforting to me.